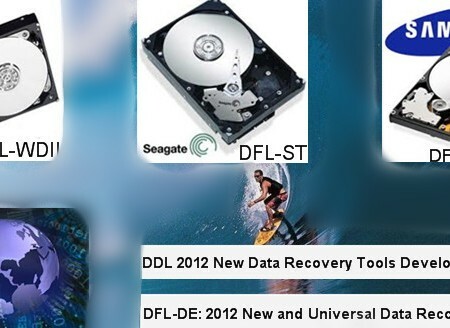 DFL-DE data recovery tool is not only one powerful disk imaging tool and data recovery equipment supporting all hdd brands, but one helpful data recovery tool with automatic hdd repair solutions to Seagate, Western Digital and Samsung hard drives. This function helps when the M and N commands fail to repair busy problem of Seagate Barracuda 7200.12 HDDs with CC31 or CC32 firmware version. HDD LOCKED（LED：000000CC）is another quite common hdd failure of both Seagate Barracuda 7200.11 and 7200.12 hdds. Both SA area and data area of HDDs with this error cannot be read normally and the hdds lose response at this time. This function helps to fix（DOS）read unrecoverable error which usually occur in Seagate Barracuda 7200.12 HDDs. When the program is trying to read the sectors of data area, it may lose response. After this automatic fix, the hdd data area can be accessed normally. For some Seagate Barracuda 7200.12 HDDs, they become ready after power on but later keep busy. The ATA interface loses response and during the PC booting up, the system gets stuck in the bios checking. For Seagate Barracuda 7200.12 hard disk drive, It has one very common hdd failure-the sectors are accessed to a certain LBA and then the remained sectors cannot be read. Many hdd repair tools cannot repair this one at all or cannot repair it properly. This function is to decrypt the ROYL HDDs whose data area and SA area cannot be accessed at all. It supports the new WD HDD with PCB 1640, 1672, 1698, etc. This function is to redefine the primary head to load the FW so that the HDD can be initialized correctly and detected normally to access to SA and data area. Users can easily edit the head map with this great feature which is actually to edit the head map in RAM. As for WD hdd, the FW is stored in Head 0 or Head 1, if the firmware in these two heads are good and usually the hdd can be detected except physical head damage which requires head replacement. Otherwise, users can use selective head image if other heads are unstable or partially damaged or degraded. With DFL-DE data recovery tool, this common hdd failure can be repaired automatically and easily. After repairing and the hdd will be ready for imaging or direct data recovery. DFL-DE data recovery tool is very easy to use and it’s the best choice for those who start a data recovery business or for those who want to enhance their data recovery efficiency and success rate.